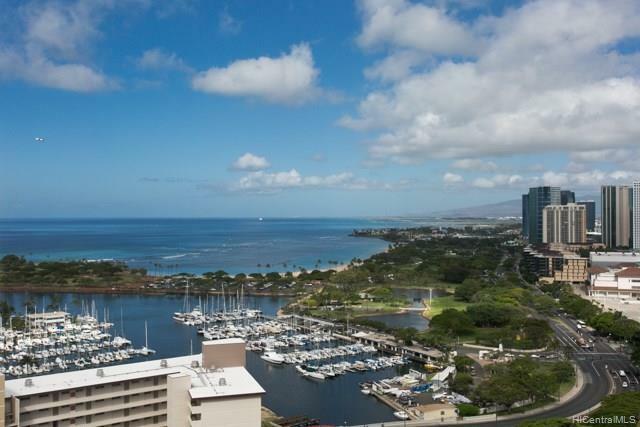 Most preferred 04 stock w/floor to ceiling glass in both bdrms & living rm to view most beautiful ocean, yacht harbor, canal, Ala Moana beach park & sunset views. Views from everywhere. 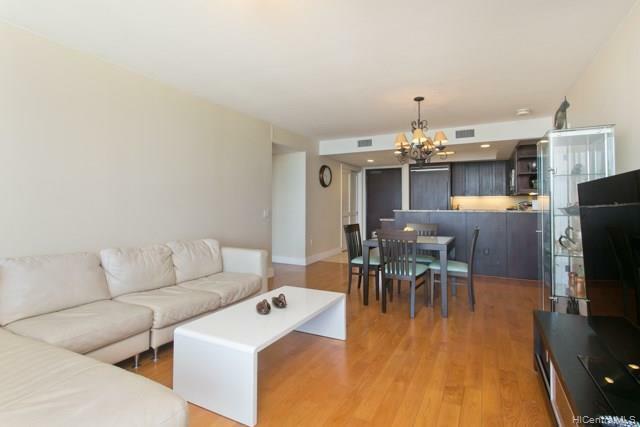 Rare opportunity to buy high floor 04 unit. Bedrooms are separated for privacy. 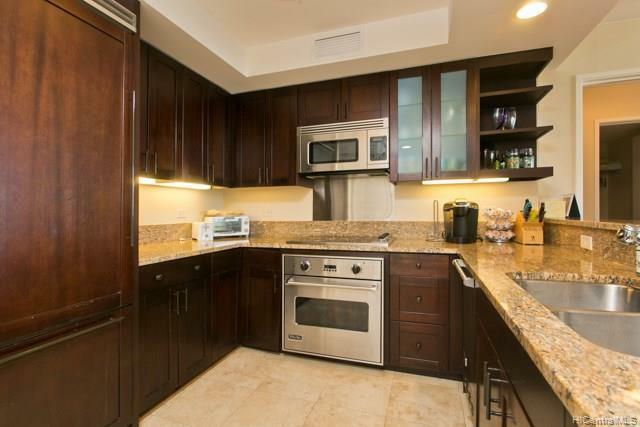 Enjoy beautiful views while you're cooking from open kitchen to living rm. Bldg is in Waikiki but in Quiet location, because it's not on Ala Moana Blvd. 2 covered parking stalls w/storage locker. Resort like ground, infinity pool, lush garden w/ BBQ cabana to have garden party, gym, conference room w/big TV. Friendly & helpful security staff. Conveniently located. 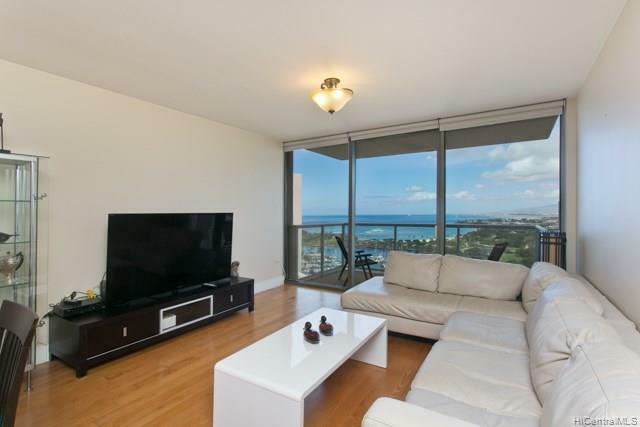 Walk to the Ala Moana park/beach, shopping malls, restaurants and jog along canal. Walk to Waikiki main strip to enjoy activities & night life. You'll enjoy living here.